Xubuntu is one variant of Ubuntu that uses the xfce desktop environment. Xfce is one of the lightest desktop environments and the interfaces are very easy to edit. Currently I want to discuss how to edit the Xubuntu Desktop view on Login screen view. Xubuntu has a very simple login screen display, and by default, it may look less interesting. There are 2 ways to change the login screen display of Xubuntu. The first is the manual way by editing the script in the /etc/lightdm/lightdm-gtk-greeter.conf directory(if you are still using Xubuntu's default login manager). 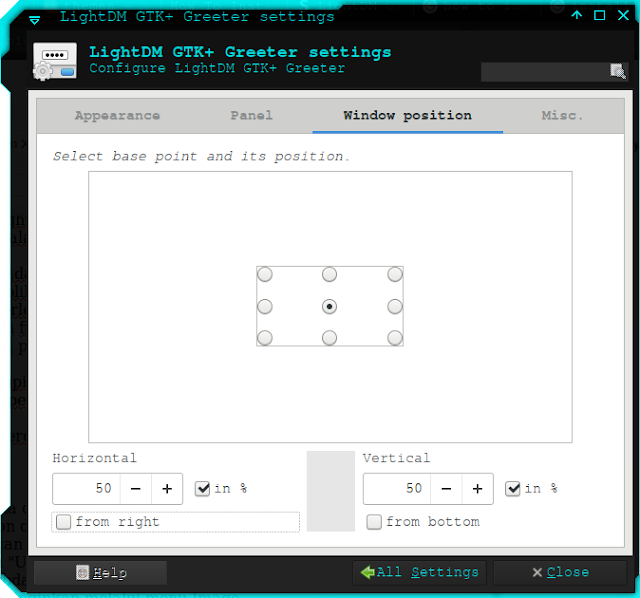 To change the appearance, you must manually edit the script in the lightdm-gtk-greeter.conf file. But this way, not recommended, especially if you are newbie in using Xubuntu. 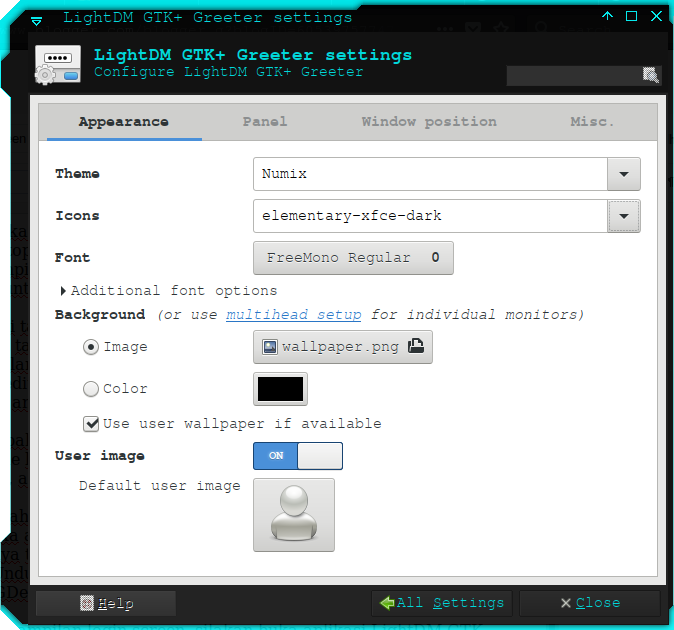 The easiest is to set up via the LightDM GTK+ Greeter Settings application. But, if the application is not installed on the computer, please download and install the application first. You can get the lightdm-gtk-greeter package in here. Download the file in .deb format, and please install it using GDebi package installer or via terminal. In this menu, we can set the theme used, font type, background and icon of the user. If you want the background view, adjust to the user's wallpaper view, you can check the "Use user wallpaper if available" section. If you want to use different wallpapers, please uncheck this menu, and select wallpaper or background via Image menu. In the panel menu, you can set the time and date format, and can add or delete some applications that will appear in the login screen. If you are confused with this menu, please ignore it, so it will not change. To change the layout of login window. If you do not really like the location of the default Xubuntu login window that is in the middle, you can change it in this menu. In Menu misc, there is setting enable / disable on screen keyboard and screen reader. Honestly, I rarely set this menu., so, this menu is in default setting. Termux, Terminal Emulator On Android! How To Record Screen To GIF ? How To Run Sound Files In CLI/Linux Terminal? 5 Ways To Install Apps In Linux And Ubuntu! How To Browse Internet Via Linux Terminal? How To Install Xfce on Ubuntu? How To Use IRC On Ubuntu Terminal? How to Change GIMP 2.10 Themes? GIMP 2.10 Final Version, What's new?